The Nicaraguan Supreme Court of Justice admitted an appeal for unconstitutionality against the recently passed law that criminalizes money laundering, financing terrorism and the proliferation of weapons of mass destruction. 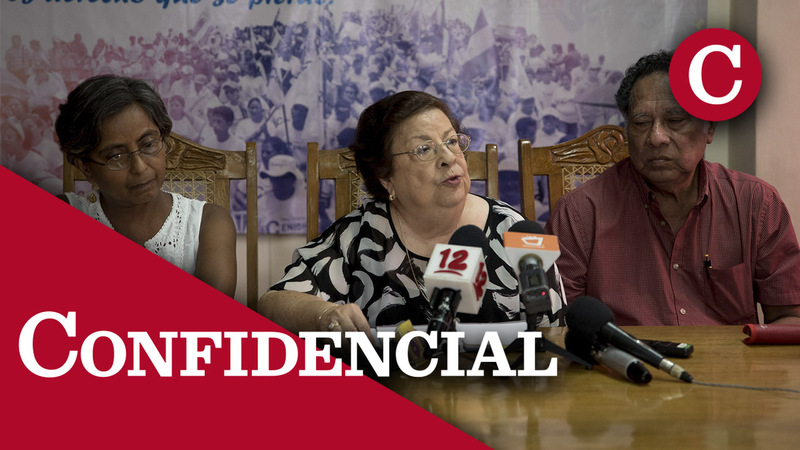 “We consider it an unconstitutional law and have pointed out the principles and rights that are violated,” said the President of the Nicaraguan Center for Human Rights (CENIDH), Vilma Nunez, who lodged an appeal. The law violates the right to security, legal status, and privacy among others, argued Salvador Marenco, lawyer of CENIDH. “In the reform to the crime of terrorism, any action can be considered terrorism, and an offense is classified so wide open to include any action. It does not give you guidelines for the crime and citizens do not have legal rights vis-à-vis the judge or the Public Ministry” (Public Prosecutor’s Office), he alleged. “So, what actions make you a terrorist? We have seen charges that have classified terrorism based on this law for having provided medicines, which was the first accusation filed on July 23rd against nine persons and that is because they left the crime too open,” explained Marenco. The CENIDH is talking about the 459 people that are incarcerated for protesting against the Daniel Ortega Government since last April. Most of the detainees are facing several legal proceedings in which they are accused mainly of terrorism. In a recent interview to EFE in Managua, President Ortega denied that there are political prisoners in the country and said that the people imprisoned have all committed crimes. Nicaragua lives a social and political crisis that has generated numerous protests against the government of Daniel Ortega and has left 325 confirmed deaths, according to local and foreign human rights organizations, while the Executive places the number of deceased at 199. The Office of the High Commissioner for Human Rights of the United Nations (OHCHR) has made the government responsible for “more than 300 deaths,” as well as for extrajudicial executions, torture, obstruction of medical care, arbitrary arrests, kidnapping and sexual violence, among other violations of human rights. The demonstrations against Ortega began on last April 18th over social security reforms (later rescinded). After the violent government repression against demonstrators, these began to a demand the president’s resignation, after 11 years in power.